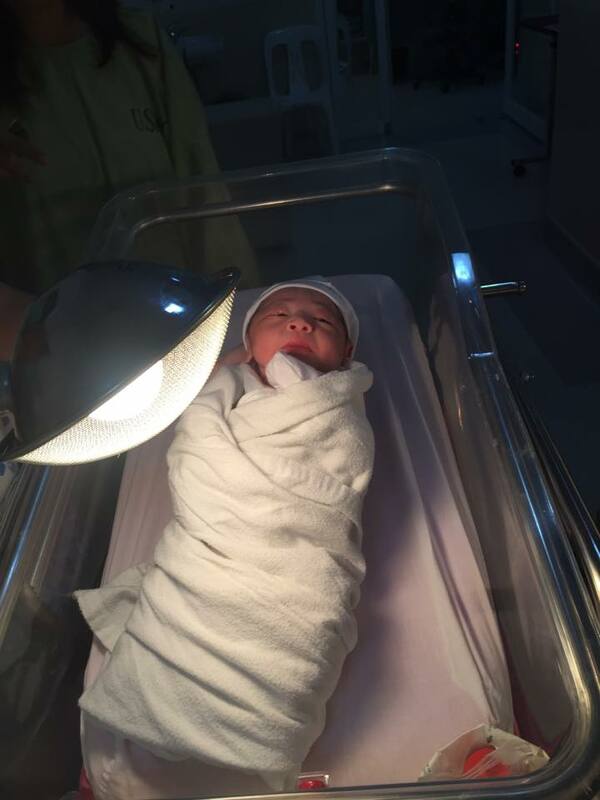 Of Aldub, grown up problems, and monkey babies – Living. Loving. Life. Our little monkey has finally arrived! 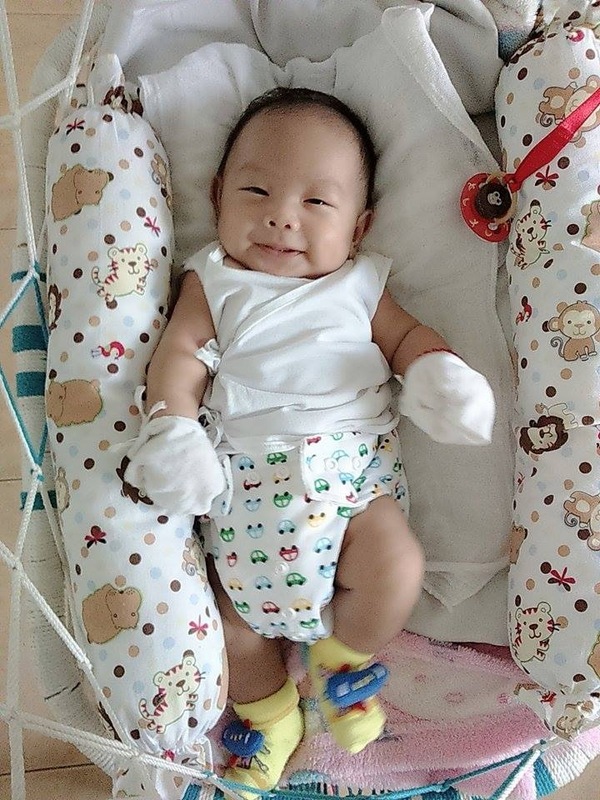 Nikkolai Sebastian Datu Cajurao, my little nephew. I remember I was in a meeting at Makati with my boss when my mom texted me at around 9:30am that Ella (my future sister-in-law) is already in labor. I was so nervous and excited that I wanted to just go home right that minute. I remember seeing my brother’s first post of Baby Kingkong’s picture, oh I cried. It was love at first sight. 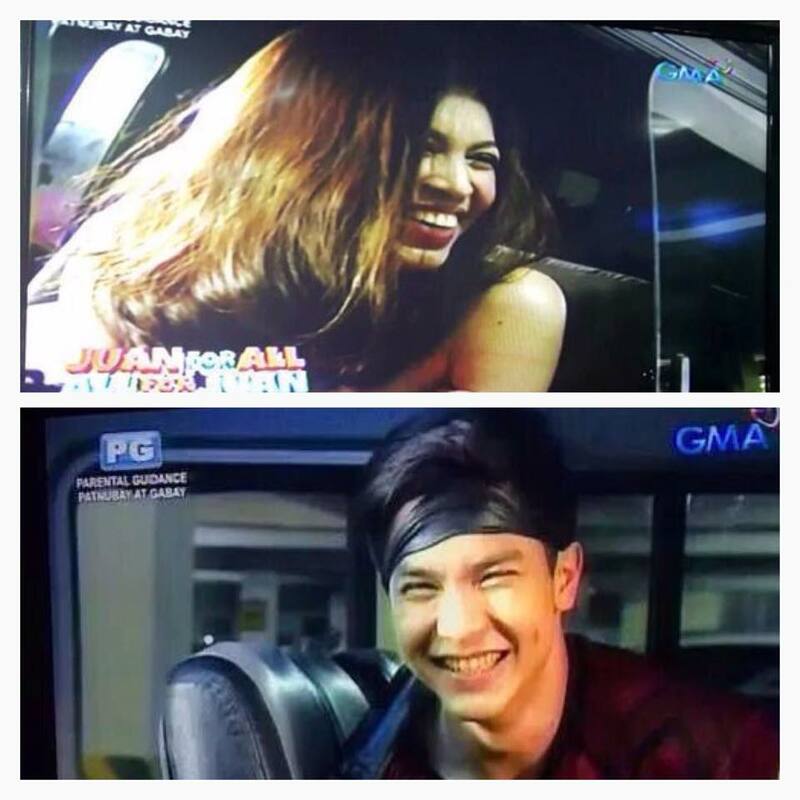 Alden and Yaya Dub’s first encounter, haha! Okay so I didn’t know this was happening at that moment, but I’m still including this in my list because this first meeting has a significant impact in my current (and future) happiness. Advance birthday celebration at Tagaytay c/o of the beau. It was simple but special because Cyr and I got to spend time with each other. My cousin Wynces got married! The now Mrs. Cayamanda did a very (very VERY) good job in planning her wedding. The ceremony was sweet and solemn with a hint of comedy (thanks to the “cool” priest who celebrated their wedding). The reception was entertaining and heart-warming. When I was not smiling during the reception, I was crying, that’s how beautiful her wedding was. Happy Birthday to ME! Oh snap I’m 31! Unlike last year’s big bang for my 30th, this year we stayed at home. Well we couldn’t take baby kingkong anywhere at the time (he was 4 days old) so my beautiful momma cooked my favorites instead, carbonara, pork-BBQ, and calamares. I realized that whether your celebration is big or small, when you’re with the people you love it just doesn’t matter because your happiness would be the same. Happy Birthday to my brother, Nikki! 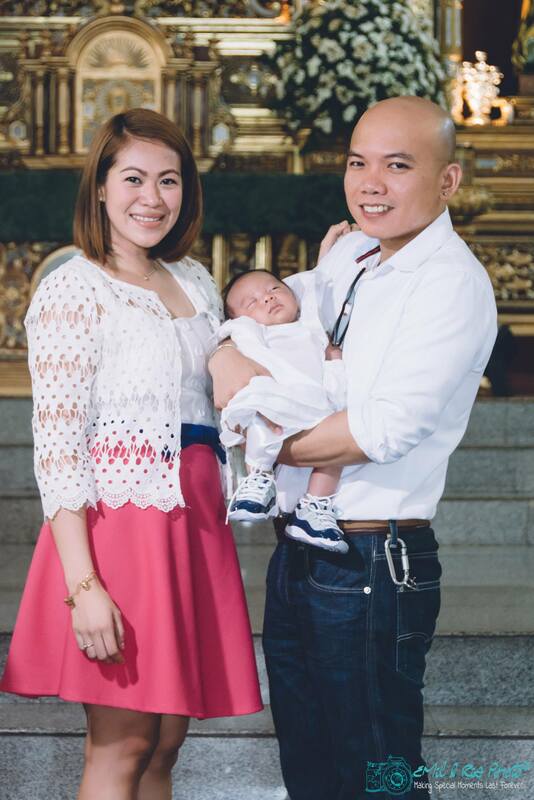 Welcome to the Christian world Baby Nikkolai! We only had a few weeks to plan for Kingkong’s baptismal party but we pulled it off by God’s grace. Not only was it his baptismal day, it was also Baby Kingkong’s 1 month birthday. He was baptized at our church, Sto. 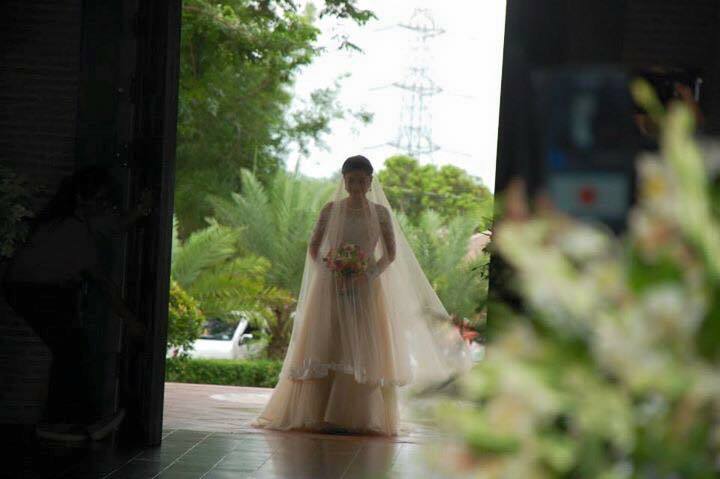 Nino de Cebu Parish, Southwoods and reception followed at the Clubhouse of Las Villas de Manila, Southwoods, Binan. We were joined by relatives and friends of the proud parents, Nikki and Ella. That time of the month where I give praise and thanks to Our Lady of Manaoag for her intercessions and her blessings. It was special for me because Cyr and I were joined by Mikki, Shirley, and my (not so) little sister, Kim. We were met with a challenge (for the lack of a better term) on the road as the INC members were rallying at Edsa at the time. Nevertheless we pursued our journey and arrived in Manaoag just in time for the 2nd mass of the day. On our way back to Manila from Manaoag, I was able to watch (for the first time) Eat Bulaga from start to finish. This was the day I caught the FEVER, the Aldub fever. It was late I know, but not too late for an addict like me. That same weekend I watched all the Kalyeserye episodes I could and found myself stalking Alden Richards and Maine Mendoza on Twitter and Instagram. I realized 3 things about Aldub after watching a few episodes that night: (1) Maine Mendoza has the x factor (2) Alden is drop-dead gorgeous (3) Eat Bulaga knows how to make their audience laugh. I have to say that Maine Mendoza captivated me right away, her ability to make faces and her comedic timing, amazing! Who wouldn’t love a funny girl with a beautiful face? It helps too that her reactions to Alden’s sweet serenades look so real and natural that one couldn’t help but feel the same reaction but 10x more. This young lady was born to be a star and now we see it shining. Now let’s talk about Alden. Alden Alden Alden, *sigh*, how on earth could one look so handsome? He brought the “dimples” back to the game and has made every girl, woman, granny, and beki swoon head over heels over him in a matter of weeks. Photo credits to Eat Bulaga. The much awaited meeting of Alden and Yaya Dub – did not disappoint. Kim and I were at the condo eagerly waiting for the “TAMANG PANAHON”. Alden and Yaya Dub performed their numbers and I must say that Maine Mendoza won that one by a hairline. Hard to believe that this lady was just a new comer in the industry as she looked flawless during her production, she was having the time of her life by the looks of it. And then it was time, it took a while but they eventually found each other in that narrow hallway. All hell broke loose. I was screaming like a crazy person, I know my sister was too but somehow I could not remember. It was like I was in that moment with them at Broadway walking ever so slowly towards each other. The look on Alden’s face as he was walking, that suppressed “kilig” by Maine, the oh so perfect background music, ‘twas MAGIC. I came back to my senses when the plywood hit the floor. So happy to have witnessed TV history unfold. The Cajurao family meets the Datu family for the first time! My brother got engaged to my former officemate, Ella last December (if you missed their trending engagement posts). Our family was more than happy to welcome 2 additions and I am personally so proud of my brother, on how he takes care of his family. I mean I had no doubts before about him being a dad, I know he’s going to do a good job, but seeing him now and seeing at how hands-on he is with Baby Kingkong makes my heart so happy. What makes me happier is that I know he found his perfect match in my future sister-in-law/former officemate. I thank God for making me His instrument in their love story. Celebrated Ella’s birthday and Aldub’s second meeting! This time I was at my parent’s house in Laguna when I watched. This second meeting broke all records as they gained 6.5 million tweets within 24 hours. Need I say more? Baby Kingkong is 2 months today! Oh how time flies! Now you are close to 6 kilos and I could barely move my arm after carrying you for an hour. You are such a blessing from God. You have captivated our hearts and put them in your little monkey hands. You are our joy. I know you will be well taken care of by your loving parents, and of course your doting lolos and lolas, but tita will always be here to protect you and to guide you. I love you, Nikkolai!